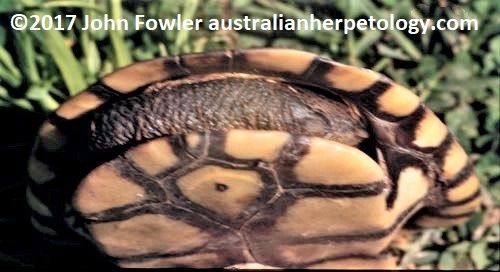 This site covers Australian Snakes and Lizards, Crocodiles and Turtles. 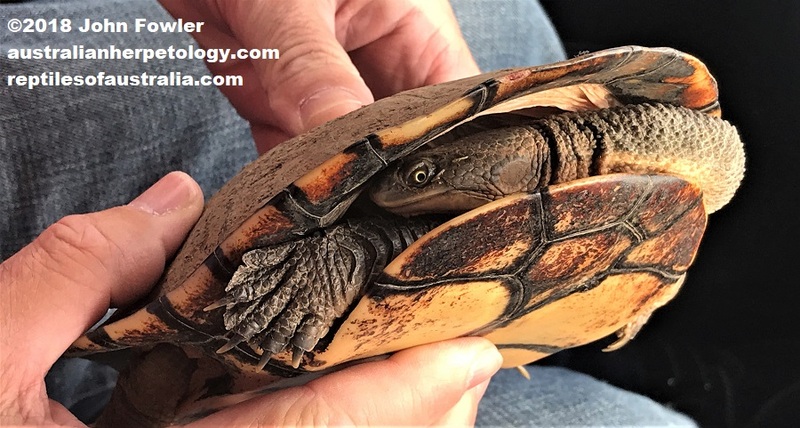 This Eastern Long-necked Turtle Chelodina longicollis was rescued from the middle of a highway and released in the nearest creek. 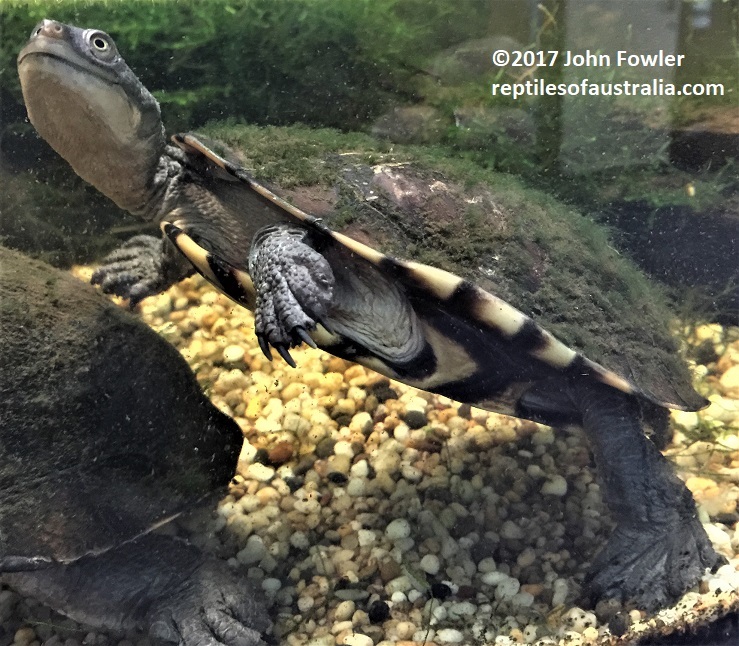 It is aquatic like all other Australian Tortoises/Turtles, however the Eastern Long-necked Turtle Chelodina longicollis often travels very long distances from water, and is often found crossing roads, including main highways. They do however need to be in water to swallow their food. 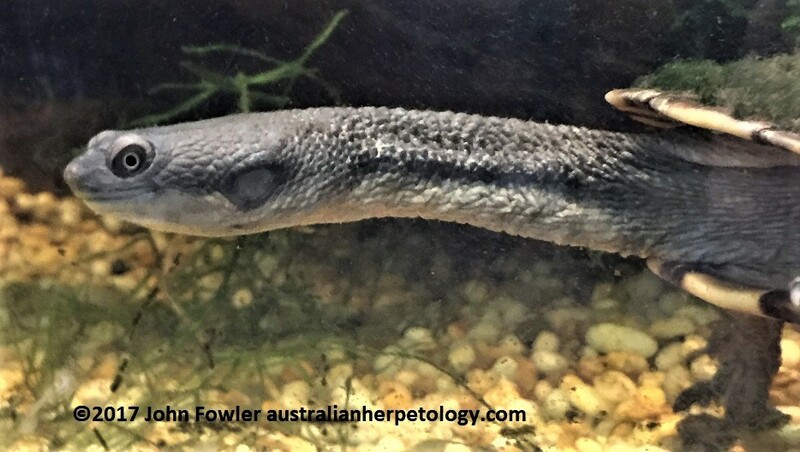 The Eastern Long-necked Turtle Chelodina longicollis is commonly sold and kept as pets in Australia. 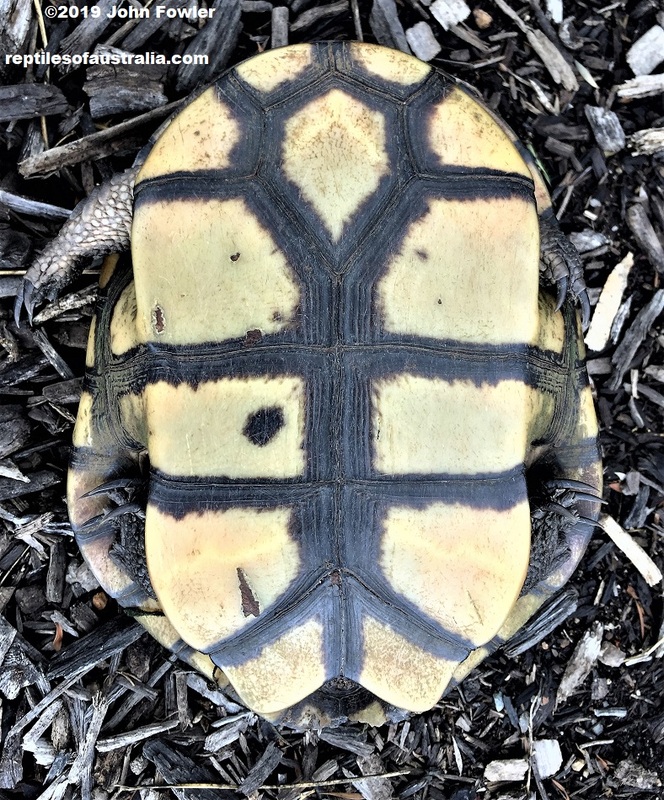 This species can live up to 36 years or more in captivity.